German inventor and industrialist of the 19th century, Ernst Werner von Siemens was the pioneer of the electro industry and brought about a great technological advancement with many of his discoveries. He invented the pointer telegraph and he independently discovered the dynamo-electrical principle. He earned a prominent position among the multitude of awards for achievements in science and technology. Ernst Werner von Siemens was born at Lenthe, Hanover, Germany, on 13 December 1816, the oldest of fourteen children. His father, a farmer and estate manager was Christian Ferdinand Siemens and his mother was Eleonore Deichmann. Ernst came from a middle class family that was struggling financially. Ernst did not complete his schooling; joining the army to undertake training in engineering in 1834 aged 17. For three years he was a pupil at the Artillery and Engineering School in Berlin studying mathematics, physics, and chemistry. In 1838 Siemens earned his living as a lieutenant in the artillery putting his spare time to good use designing practical inventions. With the death of both of his parents in 1840, he was also urged on to provide financial security for his siblings. In 1842 he invented an improved silver plating process the Rights of which were sold to Elkington of Birmingham. In 1844 Siemens accepted the post of supervisor of the artillery workshops. Four years later he was tasked with defending the port of Kiel against the Danish fleet and as commandant of Friedrichsort, Siemens built the fortifications for the defense of Eckernforde harbor. The same year, his newly formed company, Siemens & Halske, was entrusted with the laying of a 500 km underground telegraph line in Germany, between Berlin and Frankfort-on-Main, and with that work his military connections came to an end. His invention of a pointer telegraph in 1847, that used a needle to point to the correct letter instead of using Morse code, led to formation of the electrical and telecommunications company Siemens that we know today. In 1847, Siemens accompanied by precision mechanic Johann Georg Halske, established Siemens & Halske, a company that manufactured and repaired telegraphs. The company was an instant success and it established offices in Berlin, London, Paris, St. Petersburg, and other major cities. In due course it would emerge as one of the major electrical manufacturing companies in Europe. Siemens use of gutta-percha to insulate the underground telegraph cables from moisture was later used for electric light cables and allowed underwater telegraph lines to be developed. Even with a successful company, Siemens continued his research work and in 1855 he was granted a patent for transmitting telegraph messages in opposite directions at the same time. Besides the telegraph, Siemens made outstanding contributions to the expansion of electrical engineering and is therefore known as the founding father of the discipline in Germany. In 1866 he independently discovered the dynamo-electrical principle and developed the self-excited dynamo that could be set in motion by the residual magnetism of its electromagnet, so replacing the costly inefficient steel magnet. This invention paved the way for electrical energy to be used as a source of power. In 1867 he delivered an important paper on electric generators to the Royal Society. During 1877 Siemens received German patent No. 2355 for a moving-coil transducer, which was adapted by A. L. Thuras and E. C. Wente for the Bell System in the late 1920s for use as a loudspeaker. In 1879, Siemens & Halske demonstrated the world’s first electric railway and in 1880 he designed the world’s first electric elevator. Siemens & Halske tested the first electric streetcar in 1881 in Berlin and it was put into regular service that same year. When Siemens retired from the family firm in 1889 it employed around five thousand workers. His brother, Carl, became head of the company and a Siemens remained at the head of the company up until 1966. Siemens married twice in his life. His first marriage was to Mathilde Duman in 1852 and they had two children, Arnold and Georg Wilhelm. Almost two years after the death of his first wife, he married Antonie Siemens, a distant cousin in 1869. Children from second marriage were Hertha and Carl Friedrich. Siemens received an honorary doctorate from the University of Berlin (1860), an appointment to the Royal Prussian Academy of Sciences in Berlin in 1873 and investiture as a member of the Prussian Order Pour le Mérite for Science and the Arts in 1886. In 1888, he was raised to the nobility, with the addition of von to his name, by German Emperor Friedrich III. 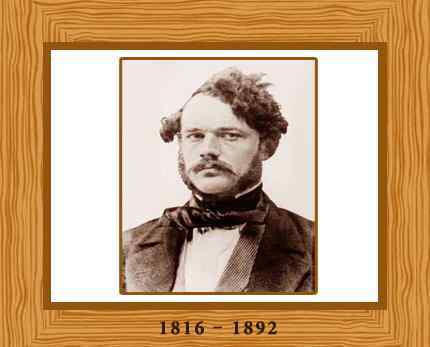 Ernst Werner von Siemens died on December 13, 1892, aged 75, a week before his seventy-sixth birthday, at Charlottenburg, Germany. The unit of electrical inductance, the siemans (S) is named in his honor.